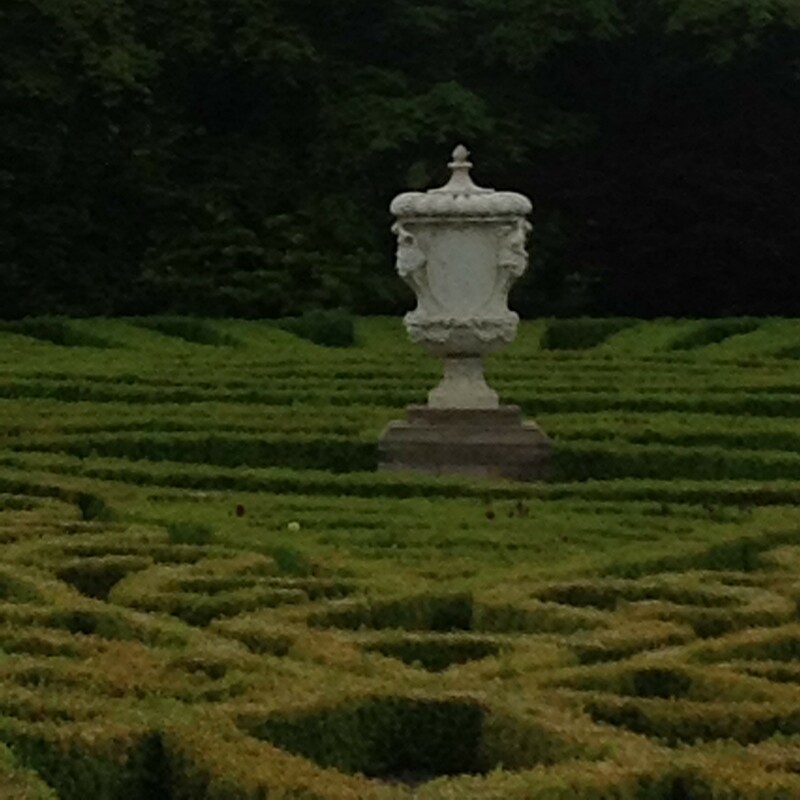 Where would you expect to see one of the finest examples of Italian style renaissance garden design? Could it be Rome, Florence, maybe in the south of France somewhere? Probably yes, but how about Scotland, in the grounds of a fifteenth century castle just off the Crieff-Muthill road. Surprising? Well not when you think about it. 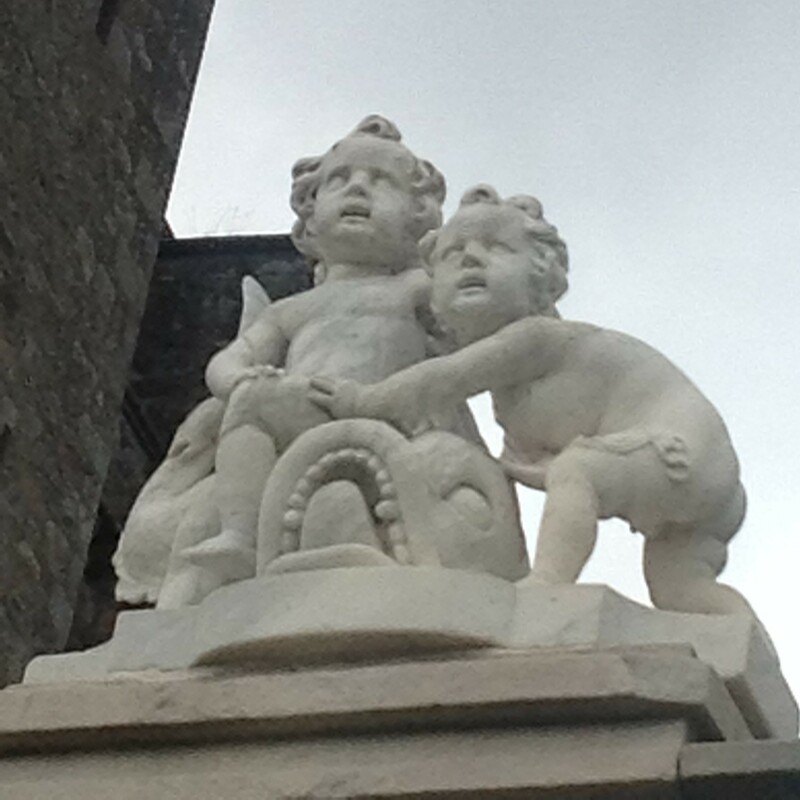 When Drummond Castle was first built in 1490, the Italian renaissance was just kicking off. New ideas, new ways of cooking, making clothes, blowing people up and theories on what that big glowing thing in the sky was really up to, were flying about like a tree surgeon on a blustery day. People were going crazy for anything new and interesting, fashions were changing every month and, of course, all the hobs and nobs were trying to outdo one another. The Scottish aristocracy was no exception, so what is a well to do noble family to do when they’ve just built a shiny new castle? That’s right, they build a gigantic formal Italianate garden to show off how fashionable, modern and amazing they are. After all, nothing distracts an invading army from a large defensive structure like well appointed topiary. All kidding aside though the gardens are amazing, though of course they did not begin as they are now. 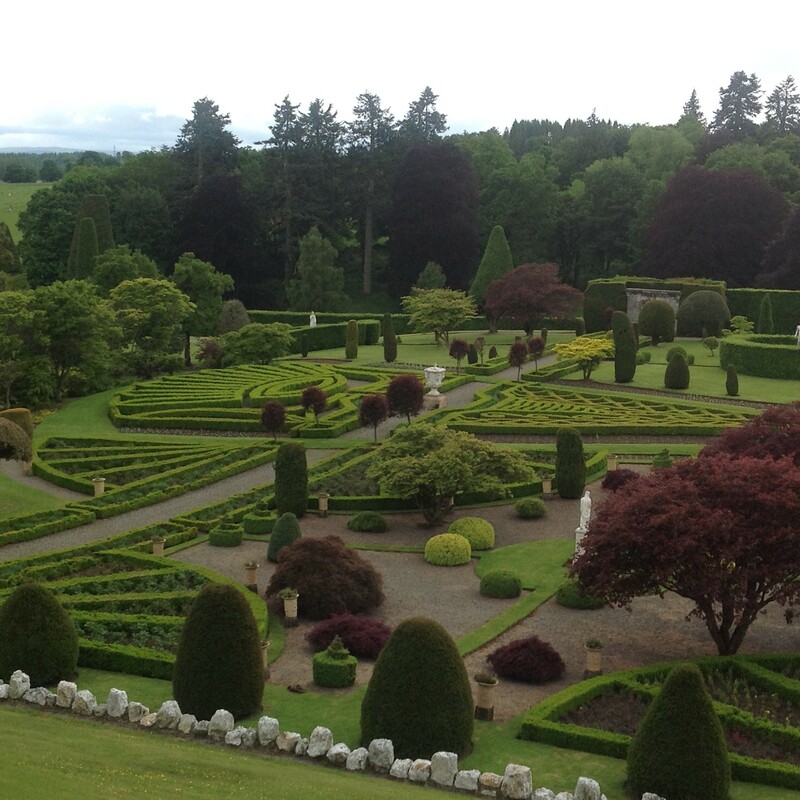 The Drummond Castle Gardens are in fact the product of centuries worth of gardening and design. Today they combine the formal elegance of the Italian Renaissance garden with its sculptures and feature stone pots and sun dial with that of the innovation of 19th century Victorian formal gardening. Inevitably more modern aspects and features have been added throughout the years. The gardens as we know them today didn’t really appear until a good three hundred years after the castle was built. By then the family and castle had suffered greatly from the rise of Cromwell during the English Civil War, when period opulence and impressive gardens were most certainly out of vogue. The ornate fountains and statuary had already been included, but everything else had been largely left to its own devices while the Drummonds focused on more important things like angry mobs. After several upheavals, exiles, reclamations and one stint as a troops’ barracks, the family returned to Drummond Castle where they immediately became Jacobite dukes and got mixed up in 1715 uprising. Still not an awful lot of time for gardening, but they did their best and the structure of the garden’s current layout started to take shape. 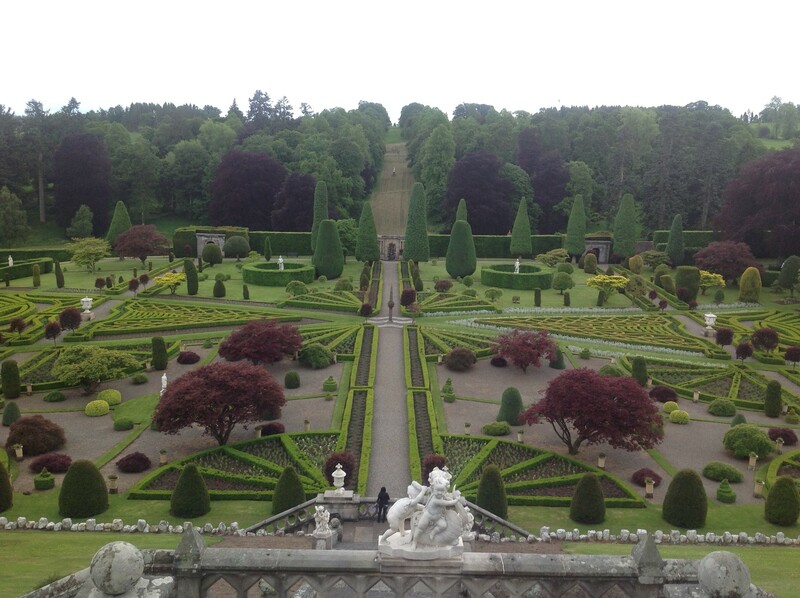 By the middle of the 18th century the gardens were the epitome of the formal Italian style; clean, structured lines, ornate but immaculate planting combined with panoramic views creating a clear distinction between that ruled by nature and that by man. Of course it was then abandoned for the best part of forty years as further settlements were built and the estate fell on hard times. It wasn’t until the 19th Century that the family finally got their gardens back together Building them up with typical Victorian gusto they expanded, renovating with the amazingly regimental box hedging and now world renowned topiaries that remain to this day. The garden began to draw interest, it’s nursery, already a nice little money spinner was suddenly providing plants to stately gardens all over the country and the now ‘retro’ look of the place became a talking point. Eventually the gardens, now overseen by the Kennedy family, attracted enough attention to warrant a visit from the ultimate Victorian…Victoria herself. The Queen’s visit was enough of a boost to make Drummond Castle and her gardens a national sensation and since then the gardens have been visited by everyone from famous authors to ambassadors and more. Then the world wars happened. Ok, that wasn’t exactly good for anyone, but for the first half of the 20th Century Drummond Castle gardens fell into a bit of neglect. Fortunately this was a relatively limited disaster, especially compared to the previous states the garden had gotten itself into. In the 1950s a concerted effort was made to renovate the gardens and bring them to their original glory. 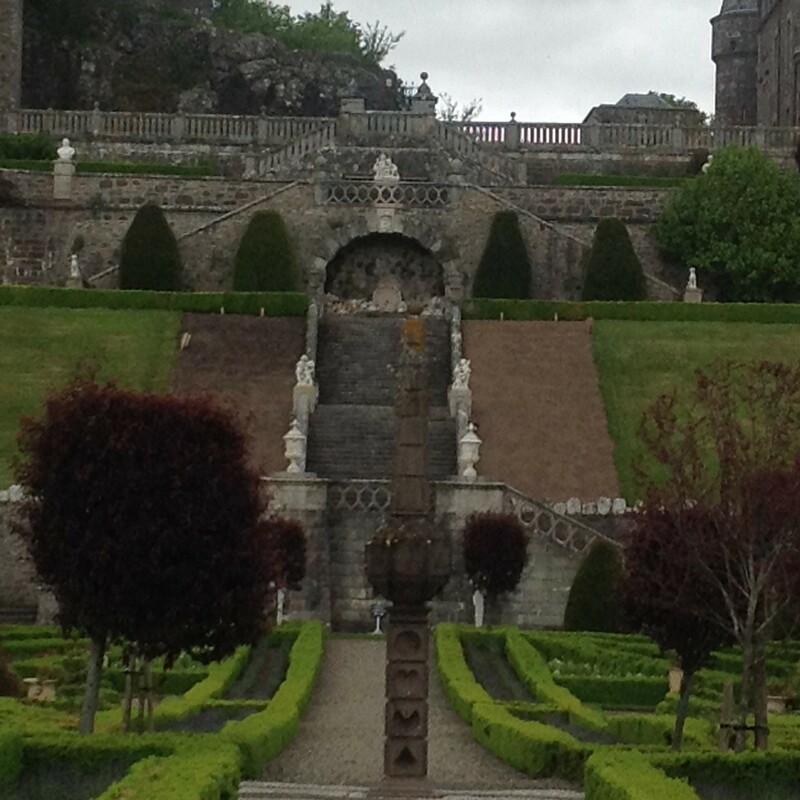 Such was the support for the traditional gardens that the renovations were completed in almost record time. So it’s a happy ending for Drummond Castle Gardens and their truly amazing topiaries, which just for the record, have in fact drawn the attention of generations of invading armies, and I can se why.